What started as a sultry morning with still seas, has in less than 30 minutes, turned into a blustery morning. Soft winds, first from the west – unusual – clocked to the south, rounded to the east, turned to the north, and swung back to pour in from the south. Local weather station, El Jaral, shows a steady 20.9 KM .. White caps before 7:30 AM! Except for the warm temperatures and the wind direction, more like a February morning … 30% chance of showers tomorrow! So…. not a SUP morning, and decidedly not a good swimming, snorkeling, or fishing morning .. and even the beach walkers are hunkered down. Life, like the weather : flux & flow. 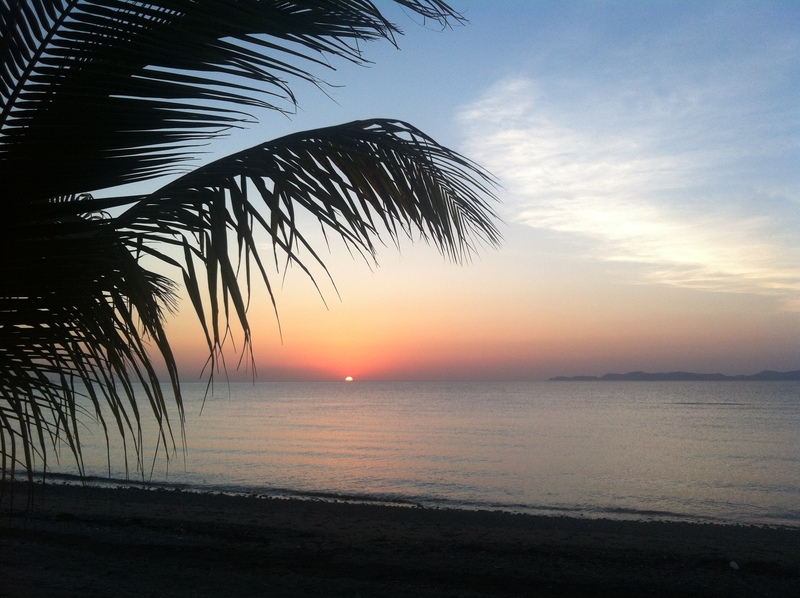 This entry was posted in Baja Living, Casa de Catalina, Sea of Cortez, Sunrises, Weather. Bookmark the permalink. Thanks Kat – you made my day!